#01. 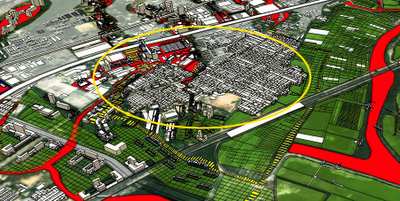 List of SketchUp Plugins: A post dated from 2009 but that has been (or used to be, when I had teh time) updated regularly with all the SU Plugins I have reviewed on this site. 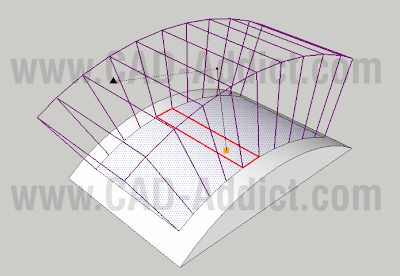 It needs some link updating which I will do soon, but it is still the favourite post for most visitors to CAD Addict. #02. Using AutoCAD autosave files to recover lost work: This post explains what can you do after one of those moments when apparently you've lost part of your work in AutoCAD. It is the post with the most number of comments and all of them positive, so it is the one that made my work here feel more rewarded. Thanks to all who spend the time wirting down a comment, good or bad, it's great to know someone is reading. #03. Plugin to Make faces from lines in SketchUp: I have toc onfess I am a bit puzzled by this post being so popular. The plugin was very useful back when the version of SU was v.6 or so and the program was not very smart creating lines from a closed set of lines. I think this was pretty much solved in later versions of SU, but oddly the post keeps getting a lot of visits. If anyone knows why the info will be very much appreciated. #04. 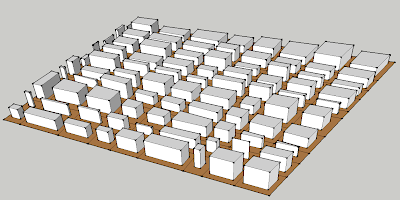 Volume Calculator Plugin for SketcHup: A post explaining how to use this old plugin to calculate volume of entities in SketchUp. A simple post about a simple plugin but that has had a lot of visitors and comments during these last months. #05. How to install plugins in SketchUp: This is simple tutorial on how to get your plugins working in SketchUp. Sometimes the posts you think are too simple become the most wanted ones. #06. 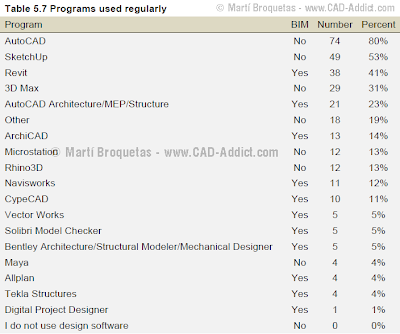 List of BIM Software and Providers: Back when I was writing my Master Thesis, I started researching on all the scope of providers that have Building Information Modelling related software. This posts gathers most of that info and organizes it in different categories. One think this post taught me: People love lists. #07. 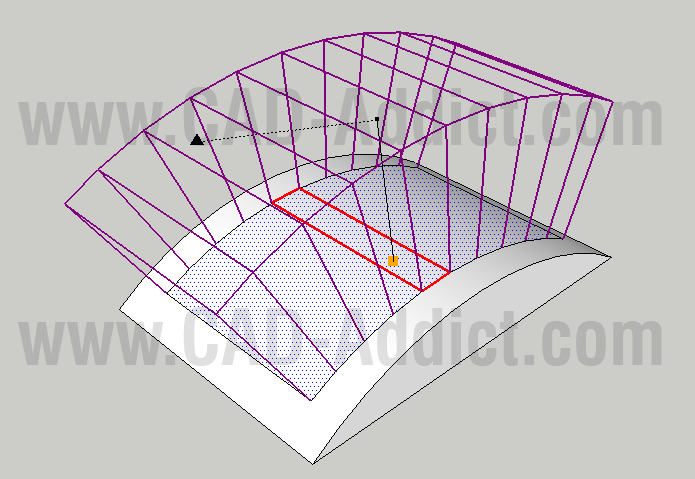 Converting 3D objects into 2D drwaings in AutoCAD: THis post explains the use of the FLATSHOT command in AutoCAD that allows you to flatten 3D Objects into a 2D drawing. #08. Representing section cuts with solid fill in SketchUp: Another simple tutorial with images to get a nicer representation of the section cuts that SketchUp allows us to do very simple. #09. Converting lines into tubes / cilinders in SketchUp: A post explaining the use of two different plugins that allow you to do this operation very fast. #10. Mirroring objects in SketcUp: THree different methods to do the mirror operation in SketchUp. The oldest post (it dates back from 2008) to appear on this top ten list. My friend Aarti just shared this with me about using the Greeble2 Plugin to create a randomly looking slum for a project she is working on. 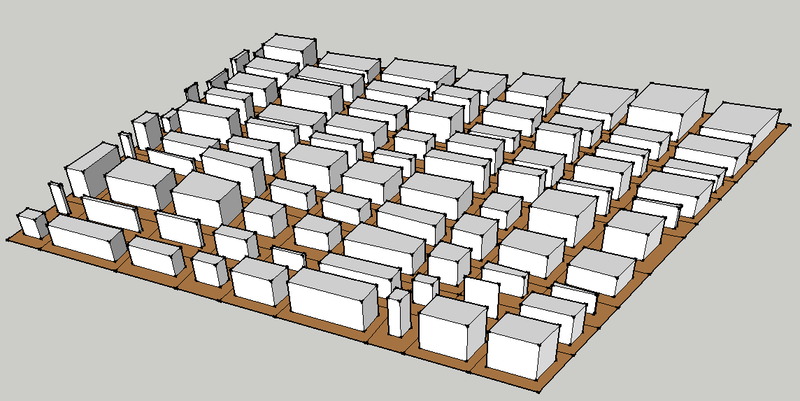 SO i just made a grid in cad, trimmed it to the slum boundaries and imported to sketchup, did intersect, then used the make faces tool, and THEN used GREEBLE (plugin) and VOILA - a randomized height grid shows a beautiful slum made in 5 minutes..."
She even shared an image of the "quick slum" she created. I of course felt like trying the plugin to see for myself how it works and produced also a 5 minute slum quite easily thanks to this plugin. Remember to check the List of SketchUp Plugins, you might find something useful. Got an email recently from SketchUcation mentioning the new online publication they just released. It is called CathUp and covers topics related to SketchUp and some of the applications you can use with this great tool. You can either dowload de PDF or see below the interactive version. I was trying to visualize a Revit model we've been building in SketchUp. I actually wanted to use SketchUp to export the model to Maxwell to do a very quick rendering since the default rendering in Revit didn't please me and I didn't have the time to play with it much. This was just a workaround, but it did help. I found the IFC2SKP plugin for Google SketchUp from Secom IS Lab. It did the trick. The plugin will import your IFC file (you need to save as IFC from Revit) and the imported entities will be separated by layers as IFC Entities. IFC Wall, IFC Floor, etc. It does not keep much of the material properties you might have already given to each elemetn in Revit which is a bugger, but I guess that has more to do with IFC itself than with the Plugin. After analyzing part of the questionnaires of my master thesis I created this table showing the answers to the question "Which software package do you or your colleagues use regularly?" There where a total of 93 completed questionnaires from several locations and from a varied type of stakeholders, so the sample can be considered quite representative. I was surprised though by the high percentage of respondents who answered that they or their colleagues used Revit regularly. Here maybe is where the sample has some flaws, and people applying BIM concepts were more prone to answer the questionnaires than those who don't. Hard to guess. In any case, here is the table, take your own conclusions. We saw last week a post by Vali Architects to create roofs very quick. They have a couple more interesting plugins. One of these is called Instant Road and seems to be a great tool to create Roads adapted to a Terrain. The video below shows part of its features. I haven't posted much about SketchUp lately, but I just saw this Plugin and though it was worth posting about it. The video says it all. Easy roof creation. Pretty amazing the level of detailed reached with just a few steps. You can download the Instant Roof Plugin directly at ValiArchitects website. They have some otehr pretty cool plugins, I'll post about them on the next few days. Via the official Google Sketchup blog. A new plugin has been recently released. It is called TGI3D Amorph, and it allows you to do what you will see on the videos below. On the TGI3D website you can find both the full version of the Plugin ($149) as well as a a free trianing version that will allow you to test the plugin with a limited number of vertex. Looks really promising. Oscarlok has been working on a great plugin that mimics the capabilities of the Boolean Tools recently introduced on SketchUp 8 Pro version. These tools are not available in the Free versions of SketchUp. OSCoolean.rbs is a Plugin for SketchUp 8 Free that allows you to use Boolean Tools in the free version. Below there is a sample video of it. For easier use it includes a Toolbar for the five operations availabel. Union, Substract, Intersect, Split and Cut. You can download the Plugin at Sketchucation. Dynamic Components have the potential to be used for parametric design, see some experiments here. Taekle has been posting his experiments on parametric design using Google Sketchup's Dynamic Components. Really impressive! A set of tutorials to learn how to create photorealistic images in Maxwell from Sketchup. I've been praising how good it is to use Maxwell Render to create photorealistic images. Aidan Chopra posted a link to the tutorials website where you can find an entire set of tutorials to learn how to work from SketchUp to Maxwell to create this images. The tutorials are listed below. via Official Google SketchUp Blog. This seems like a good method for its flexibility. There are other alternative methods to do something similar. One of them was already explained here at CAD Addict. It uses the SectionCutFace Plugin. The third option is to use a default option in SketchUp. When we have created a section plane, we can select the section plane entity, right click and select "Create Group from Slice". This will create the edges of the needed Poche (Fill Section Cut). You will need to edit this newly created group to Fill it with a face manually or suing a plugin like Make Faces from lines. Create Slices of a model to easily simulate curved surfaces. Asteronimo has written this great script based on TIG's Slicer Plugin. The New plugin called SliceModeler.rb allows to slice the model in two directions to generate the necessary slides to build it on the real world. This is extremely useful when trying to reproduce curves surfaces (or their skeleton), and I can imagine it could be used on models of ships or to create the base for a complicated terrain. I just created a quick overview video of this great plugin to share quickly its functionality. Be careful with the settings, the first time I used it I set it wrong and it created 200 slides on each direction crashing my computer (my fault, the plugin warned me). Reduce the number of faces in your model using this easy to use plugin. It will speed up your working time and improve render speed. POLYGON REDUCER (polyreduce.rb) is a SketchUp plugin to reduce the number of faces of SketchUp objects. It is useful especially when we use high poly models imported in our model or when we simply want some surfaces to be simpler and lighter. Below you can see a simple comparison of an object created with the Torus plugin before and after using the polyreduce with the face count on the left. Above the initial object before using the Plugin. Below the object after running the Polyreduce plugin. As you can see above, sometimes the object will not look so smooth as before running the plugin. This has an easy solution. We run the Soften Edges function and we can control again which edges are shown and which ones are hidden achieving a better result as it can be seen below. To use the plugin you must select the faces you want to simplify. Then right click and select "Polyreduce" from the context menu. On the dialog box, you can select the percentage of reduction you want to use. Very useful Plugin! A new version of the great SketchUp is out! Version 8 with many new features and tools. 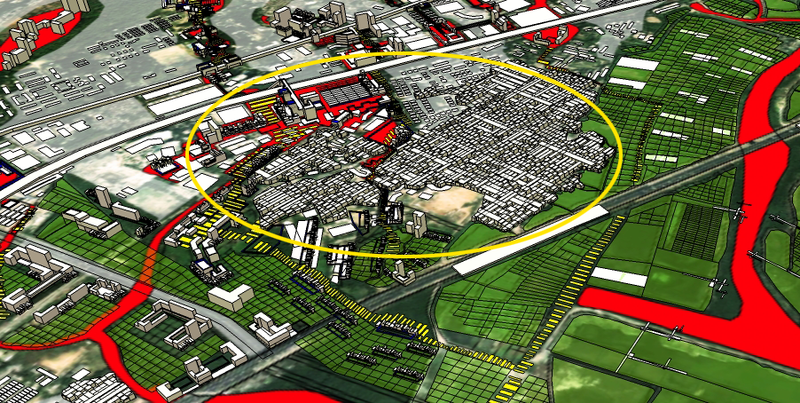 Google has announced today the release of Sketchup 8 (Pro and Free versions). They have also posted a quick video to showcase the new features. See it below. There is also a new page listing the new features. For me, the greatest introduction is the "Solid Tools". It is what in other Programs like Rhino or AutoCAD would be called Boolean operations. Unfortunately, it is only for the Pro version. There are also new Geo-modeling tools and context gathering that will help you get better site context and better quality terrain. Also, Layout is updated to version 3 with new features. My favourite though are definetily the new Solid Tools. This new features will leave a couple of plugins obsolete. One, the comercial one called BoolTools. With the new Solid Tools, Pro users will be able to do this without the need of a plugin. Also, the Volume Calculator Plugin will not be needed anymore, since SketchUp pro will automatically calculate the volume for Solid entities. Haven't seen so far any mention to Multi-Processor support which is a pity, but well, one step at a time. Model Interesting Shapes with the Torus Plugin using the twisting function. I recently posted about how to model basic shapes like Torus, Spheres and Ellipses with or without a Plugin. Although on the videos I showed you that the shapes can be done without plugins, I've been playing a bit more with the Torus plugin and it is quite useful. The best fucntion is to me the possibility to model twisted torus. See with the following two images what can be done. Te plugin can be download at the author's blog. 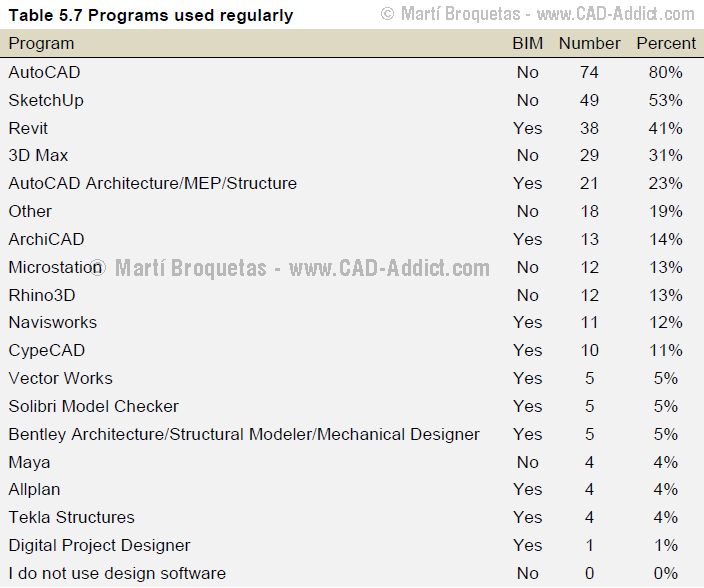 The list of SketchUp Plugins reveiwed at CAD Addict has reached 67, check it out. I had no time to update the list of plugins lately. Finally today I did it and added more than 10 plugins I had reviewed recently. The list reaches already 67 plugins. Some might be getting old but the list is pretty comprehensive. A new an imporved version of the Joint Push Pull Plugin has been published. One of the most visited posts in this blog was the one describing the Joint Push Pull Plugin. See it here. And the possibility to add the parameters window pop up on will by pressing Tab while running the Plugin. This is one of my favourite Sketch Up Plugins, it is great to see it improved. Remember to check this post if you don't know how to install plugins.